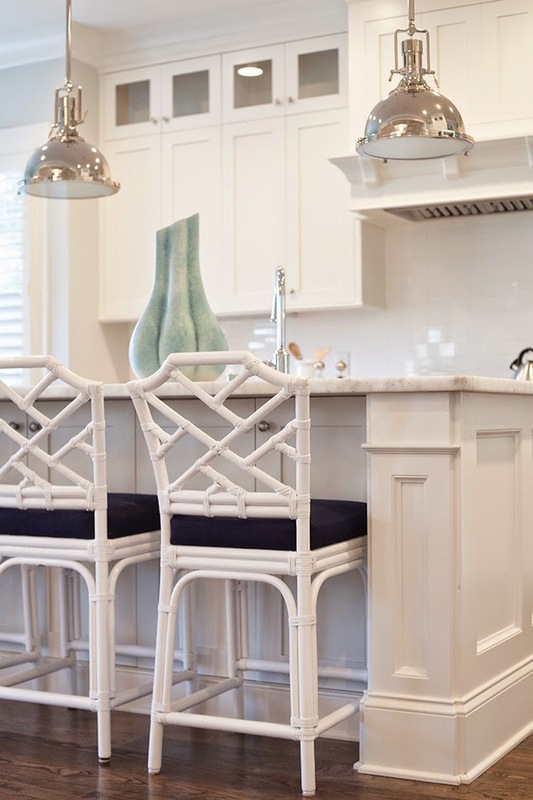 Love the Chinese Chippendale stools in this white kitchen. The black or navy cushions are practical and really pop with all the white. I adore this kitchen and used this picture as inspiration for our kitchen remodel. Love almost anything and everything Chinese Chippendale!